I have been meaning to watch this film in its entirety for years. Really. But, typical of life, something keeps coming up. I have seen sections of it throughout the years though, but never the whole thing, so I was so happy to see it picked for Film Club a while back. Starting off, I liked the way the movie looked. Dark and gloomy but pretty, very intricate. The way the fairy tale is told right at the beginning draws you in, and I think it is so successful because it is pretty dark, not this light and fluffy ordeal. No happily ever after right there. Meeting Ofelia, you just know you are about to be pulled into something magical, something different. I think that Ivana Baquero was absolutely brilliant in her role, and she had my support every step of the way. This was a girl I was going to root for. I think that the casting for the movie was very well done, everyone carried their own and I enjoyed watching them. Maribel Verdú, Sergi López and Álex Angulo particularly stood out as the sweet and brave Mercedes, the cruel and callous Captain Vidal and the compassionate and kind-hearted Doctor Ferriero. The complex relation between them was fascinating to watch. 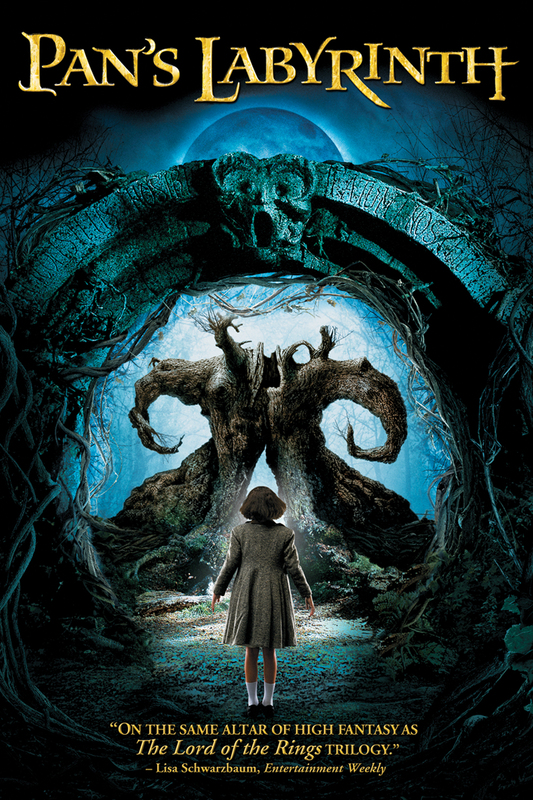 I was a big fan of the way the fantasy and reality were crafted in Pan’s Labyrinth. It definitely was something to experience. It was stooped in extremely harsh reality, what with the Captain Vidal, Ofelia’s ill mother and a war to boot. However, on the other side was the oddly fantastical but no less dangerous world of the faun and his enigmatic labyrinth and all the tasks she is given to complete to prove herself the Princess Moanna, daughter of the King of the Underworld. The story is wholly engrossing, and I did not find my attention wandering once, and the pacing is exactly what it needed to be. The film utilised every second it had to weave the tale we got. I fully maintain that Guillermo del Toro is phenomenal when he does foreign Spanish films. Both this and The Devil’s Backbone were infinitely more engrossing than his English films, and have significantly better stories and portrayals. I certainly have a preference when it comes to his work. If it is foreign, I am there. They just seem so much more genuine and heartfelt. I can definitely say that Pan’s Labyrinth is well worth the watch, shot beautifully, and tells a exquisite, dark fantasy tale.